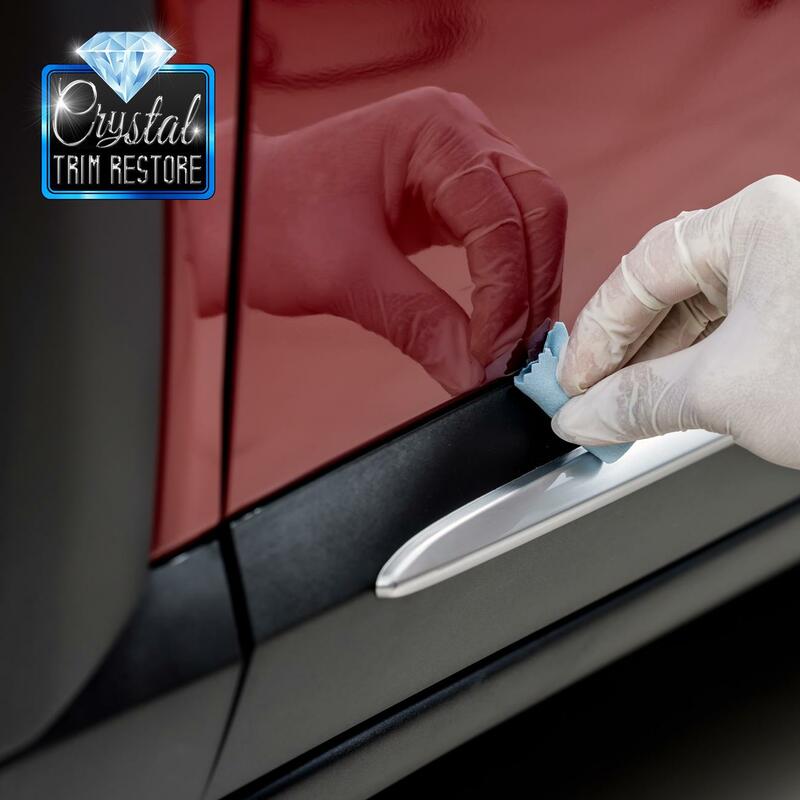 Crystal Trim Restore is developed using our innovative surface technology, which is engineered with the very latest cutting-edge ingredients and technological advancements. Crystal Trim Restore treats vehicle plastics and vinyl - restoring, preserving and protecting the surface. 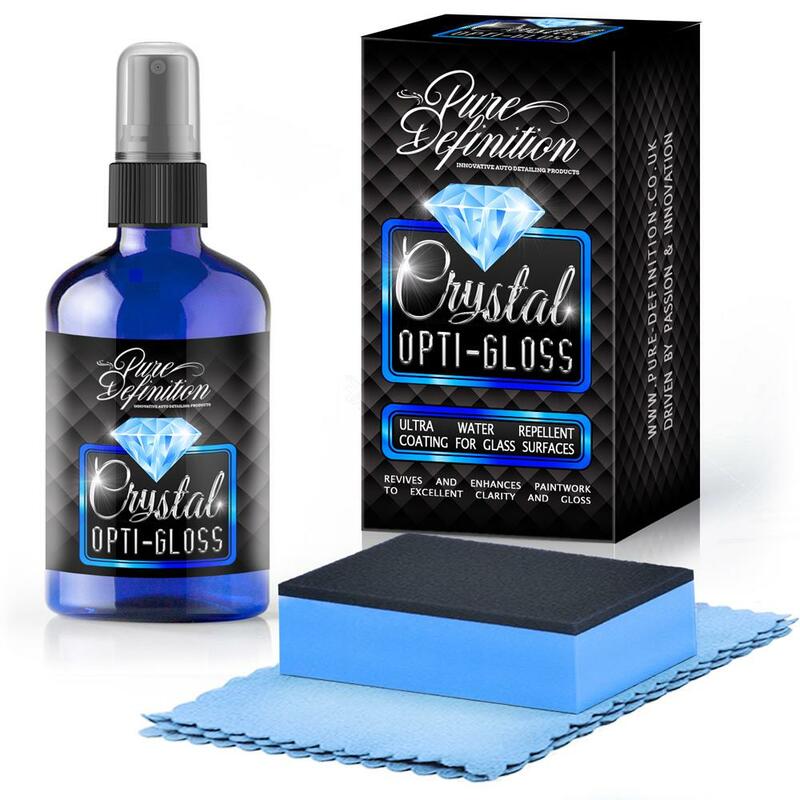 It provides an ultra-durable high clarity clear coating which will last for up to 2 years. 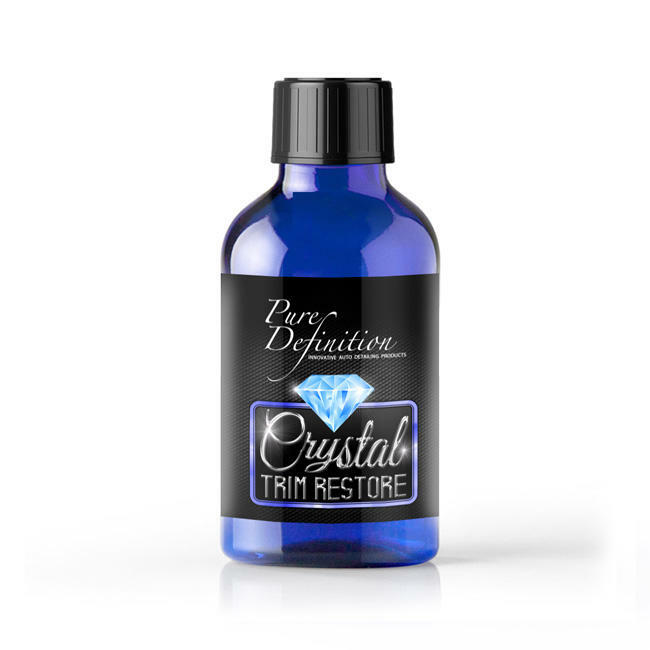 Crystal Trim Restore has additionally been engineered to cure naturally without the need for any expensive equipment or special facility. 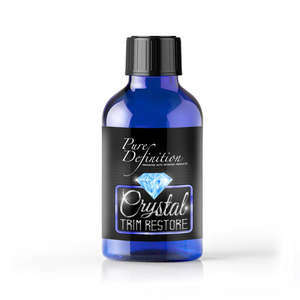 Applying Crystal Trim Restore onto your vehicle trim will create a strong and ultra durable bond. Once applied, the coating will activate and chemically bond with the plastic molecules on the surface transforming the surface back to an as new condition. The innovative coating is highly engineered to adapt and withstand all potential weather extremes, protecting the paintwork from fading and degrading in the blazing summer sun and in the freezing winter. Additionally, The constant changes in environmental conditions result in the trim on the vehicle expanding and shrinking year round. 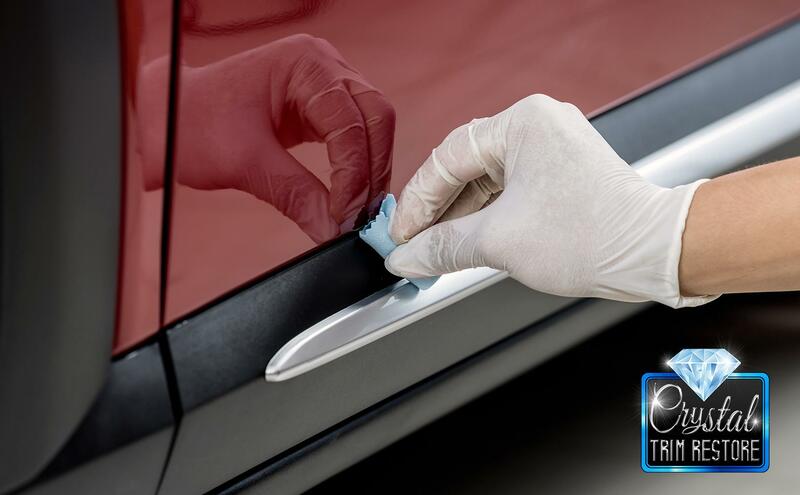 The chemical structure of Crystal Trim Restore instinctively adapts to the surrounding environmental conditions without causing any damage or cracking to the coating. 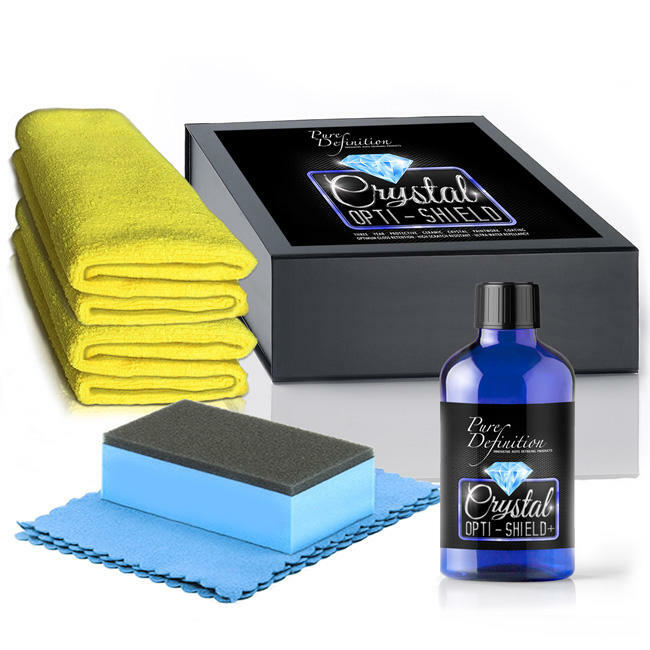 Crystal Trim Restore is also water repellant, producing a hydrophobic layer over the trim surface which beads water away from the surface - aiding water to blow away from the surface as you drive! 2. 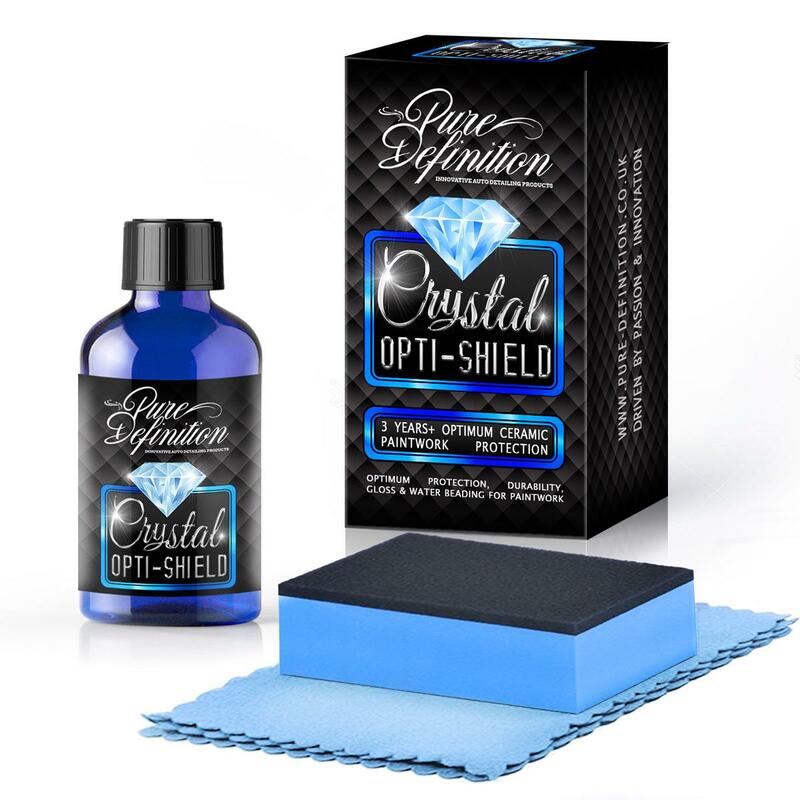 Wrap the blue cloth around the applicator pad and drop between 5 and 10 drops of Crystal trim restore onto the cloth provided. 6. do not get moisture or dust on the surface for 2 hours during the curing period. after this the surface is dry and the vehicle can be driven. 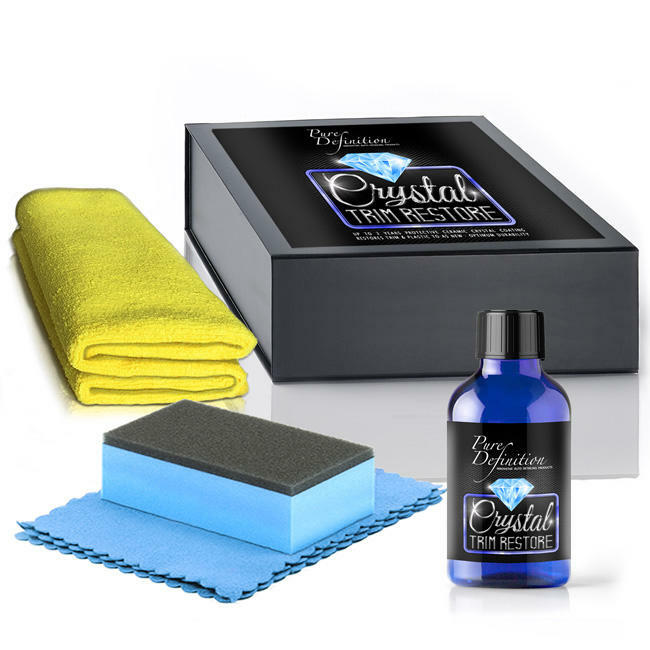 Crystal trim restore will fully crystallise and harden over 7 days. for the best results try to avoid washing or applying any strong chemicals to the vehicle during the first 7 days.